Concentrated in the city centre and scattered along the coast and further inland, Whangarei accommodation ranges from 3 star motels to 5 star luxury resorts and everything in between. Known for its stunning scenery and thriving arts community, Whangarei offers modern hotels, boutique properties, spacious self-catering apartments and charming bed and breakfasts conveniently close to a variety of local shopping, dining, entertainment and attractions. The ideal blend of coast and countryside, Whangarei hotels offers something for all travellers and budgets. 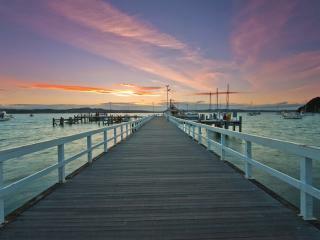 Located in the scenic Bay of Islands, Paihia is a busy seaside town which offers golden sand, safe swimming beaches, a huge range of leisure activities and a wonderful lifestyle. 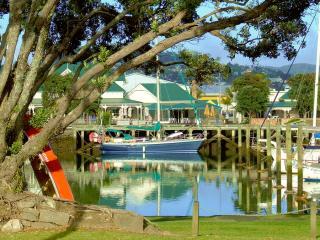 Overlooking some of the most picturesque beaches in town, Paihia accommodation enjoys a great range of onsite facilities. With many properties boasting panoramic beach and sea views, accommodation is conveniently close to a variety of shopping, dining and local tourist attractions. Ranging from 3 stars to 5 stars, visitors can choose from relaxing bed and breakfasts, luxury hotels, self-catering apartments, cosy motels and boutique resorts. Boasting more than a kilometre of stunning white sand and crystal waters, Matauri Bay is a picturesque beach settlement and aquatic playground known for its game fishing. Overlooking the beautiful local beaches, accommodation is conveniently located close to the town’s most popular shopping, dining and recreational activities. Ranging from 3 stars to 5 stars, Matauri Bay accommodation is ideal for both couples and families and offers something for all budgets. Ranging from self-catering apartments, friendly bed and breakfasts, boutique resorts, comfortable motels and luxury hotels, Matauri Bay accommodation enjoys a great range of onsite facilities.